We have for 30 years been bringing our clients dreams into reality. From large custom homes to small additions and remodels. We focus on listening to our clients needs and desires targeting their budgets all at a fair price. Providing architecture and design services, including interiors and hardscape. My mission is to connect with clients on a personal level, forming bonds that go beyond the project. I embrace collaboration to solve any design challenge, big or small. With over a decade of experience in residential and commercial sectors, I utilize 3D design software (BIM) and provide clients with an immersive virtual reality experience (Google Cardboard) during the design process. This method allows clients to review and approve design solutions as they are made with confidence. This approach also provides a great benefit to the general contractors and sub-contractors and aids in project coordination. My services can including everything required to design a ground home or tenant improvement or can be utilized on an a la carte or retainer (hourly) basis as needed. The hope is that anyone wanting access to an architect, can do so regardless of the budgetary constraints. By Design is a full service Interior Design Firm specializing in kitchen and bath design. As the inspiration behind the award winning firm, owner and principal designer Elma Gardner, brings more than 20 years of design experience and industry expertise to every project. Focused exclusively on residential design, Elma works closely with every client on planning their dream remodel or new construction project. El Dorado County's Leading Building Designer Best of Houzz 2015-18! Since 1998, we are a full service design & drafting company serving residential and also commercial clients. Domum is a small town architecture firm that delivers big city quality. Our home base is in Rocklin, CA where we enjoy quick and easy access to the San Francisco Bay Area, Sacramento, Silicon Valley, Stockton, Napa, Marin County, and everywhere in between. We are passionate about architecture and have done it most of our lives. We specialize in solving unsolvable problems. As licensed Architects in California, Utah and Idaho we are experienced in multi-family residential, restaurants, bars, breweries, schools, churches, modular construction, steel framed buildings, retail, shopping centers, commercial tenant improvements, shipping container developments, historic structures, and home remodels. We are skilled at building on flat lots, hillsides, remote locations off the grid, in flood planes, beach front properties, and properties with difficult neighbors and challenging site constraints. We are just as happy to work with clients with small budgets as with those clients with… well, not as small budgets. We are constantly learning and pushing ourselves. We use fun software, like Revit, where we essentially build our projects in 3D and work out the problems long before construction starts. This results in better, more efficient designs, lower costs, and fewer change orders. We like to push the boundaries of 3D, BIM, green design, innovative building materials, and project delivery types. Our personal style and attentive staff make sure your projects run smoothly no matter your budget or the scale of the project. We handle each job with a strong sense of perspective and integrity. Ingenuity and a keen eye for unique solutions makes Domum the obvious choice for providing you with architectural services. SANDBOX is an award-winning, comprehensive design firm based in Truckee, California, near Lake Tahoe, with projects in California, Nevada, Hawaii, Montana and Colorado. SANDBOX specializes in residential design, engineering, commercial improvements and interiors, with an affiliate graphic design company, SDBX. Founded on the belief that our clients will benefit from a multi-disciplinary approach, our team of highly-talented individuals with diverse backgrounds brings a blend of perspectives and skills that keeps our work original and timeless. While creating innovative design is a mantra at SANDBOX, serving our clients' needs is paramount. We strive to create spaces that enrich the lives of their owners — spaces that are aesthetically inspiring, highly functional, sensitive to the environment and finish on time and within budget. Together, these goals can only be achieved through thoughtful design, careful attention to detail and effective management of the process. Designing and building a custom home is an intensely personal and sometimes daunting process — one that requires great working-relationships between all parties involved. At SANDBOX, we are professional, yet down-to-earth people with a sense of humor. We educate our clients on options then take the time to listen to their feedback. We encourage client involvement throughout the design process. Our in-house engineering capabilities provide a distinct advantage when translating the design into cost-effective construction methods. Having completed numerous successful projects, we have developed close relationships with regional planning agencies, community design review committees, as well as many fine contractors and suppliers in the areas in which we work. All of this combines to make designing and building a project a smooth and fun process. Our proven ability to provide a high-quality, creative product with superior client service has gained SANDBOX significant recognition in the Lake Tahoe area and beyond. A boutique architecture firm specializing in modern, sustainably designed residences and specialty projects like wineries. Fine Line CAD Home Design has had the pleasure of working with homeowners to design their dream homes since 1998. We assist them with the planning process and creation of their construction drawings package for the Building Department permit process and their Builder. We are a full service design & drafting company serving residential clients. We work as a team with other professionals to provide our clients with a complete drawings package. We strive to provide great service and treat each of our customers with respect. We are excited about each and every project and look forward to making our customers happy. Our goal is to design your project to suit your needs and exceed your expectations. 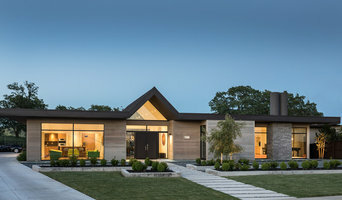 Kevin Patrick O'Brien Architect, Inc.
Kevin Patrick O'Brien Architect is a full service architectural firm specializing in custom homes and residential remodels. With Design Studios in Northern and Southern California we have been in business for over 20 years and have worked on projects in California, Arizona, South Carolina and Hawaii. Follow me on Pinterest. Siteline Architecture is dedicated to providing high quality design, focusing on customer service and responsibility to the communities in which we perform. Our years of experience living and working in historic Nevada City and Grass Valley has helped us to realize a number of prominent projects that satisfy design criteria, ordinances, and the neighborhood. Siteline knows that while the built environment is our mission to conceive, it is not an opportunity for an expression of our ego. The ultimate design should be an expression of those who will live, play, or work in and around the spaces we create. Siteline Architecture opened in June of 2002. The two partners have a combined forty-four years experience working in the field of architecture and construction in and around Nevada County. The firm is led by Andrew Pawlowski, an architect, and Richard Baker, a designer / project manager. In collaboration with the client, the site, and the community, they work together to formulate design solutions, engaging the skills of both at various points in the design process. Andrew’s primary role is the managing architect, and he is the main client contact for the firm’s non-residential projects. Richard is the lead designer and project manager, and he leads client services for all of the firm’s residential projects including providing Owner / Builder consulting and full service Construction Management. In addition to the two partners, Siteline Architecture has a staff of three full time project manager/drafters. Also working with them as consultants are surveyors, interior designers, and civil, mechanical, and electrical engineers forming a team devoted to their client’s projects. Oliver Aden/Nar Fine Carpentry, Inc.
Full Service Design for new and existing homes, specializing in kitchens and all areas of the home. Remodeling Projects for the whole house. How do I find the best Pilot Hill architect for my home design project? It is best to hire a home architect who will be involved in all phases of the design process, from the initial concept to the completed construction. The architect is often the first person you will hire for your project. If necessary, they might also help you select and hire California subcontractors, which can include the builders, engineers and landscaper. Interior architects are also involved in negotiating contracts for all involved participants. It is for these reasons that it is extremely important for you to have a good relationship with the Pilot Hill residential architect you hire. He or she can be the tie-breaking vote between you and the general contractor and can be your biggest advocate during the construction process. Different architecture firms in Pilot Hill, CA provide different services, so the scope of the work can span from pre-design environmental impact studies to selecting furniture and finishes, depending on what your specific needs are. It is very important to hire the right professional for the job. Remember that the most well-known or established designer might not provide the best architectural services for your needs. It all comes down to the individual project. Research and ask people whose work you like for recommendations. It's important to have somewhat of an idea of the style of house architecture that you prefer, as well as the amount you would like to spend. Residential architects in Pilot Hill, CA are natural problem solvers. They will assess the entire situation and help you to solve your problems too. Don't settle for a single company too early. Call and interview a few. Make sure that you feel like your personalities will mesh well and that you like their professional perspective. 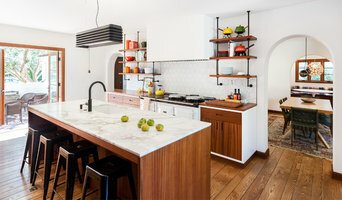 Find a home architect in Pilot Hill, CA on Houzz. Narrow your search in the Professionals section of the website to Pilot Hill architects. You may also look through photos of California projects to find interior architects and building designers who have worked on a project similar to yours.